Coro Titular del Teatro Real, Orquesta Titular del Teatro Real / Pablo Heras-Casado. Stage director – Àlex Ollé. Teatro Real, Madrid, Spain. Sunday, December 18th, 2016. It is often said that things come in threes and after three Iphigénies en Tauride this was my third fliegende Holländer of the year following two others in Hamburg and Copenhagen respectively. 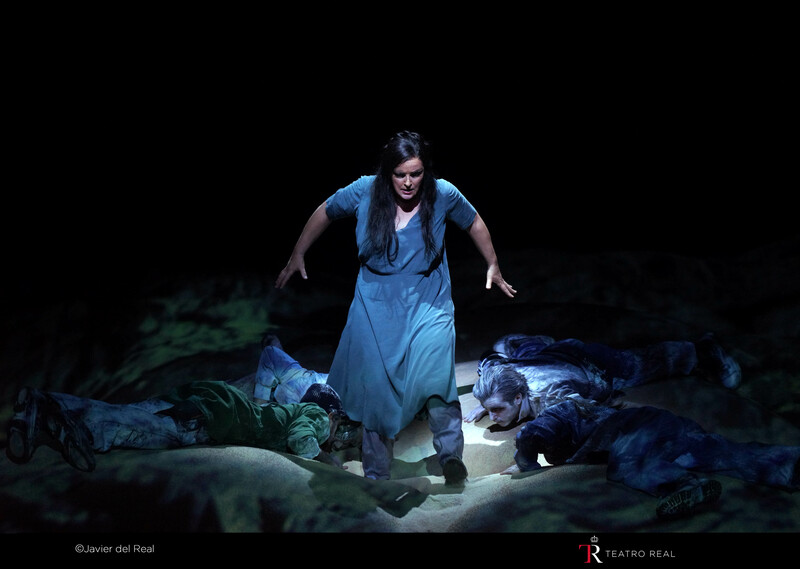 The staging was the work of Àlex Ollé of la Fura dels Baus and it was certainly visually striking. 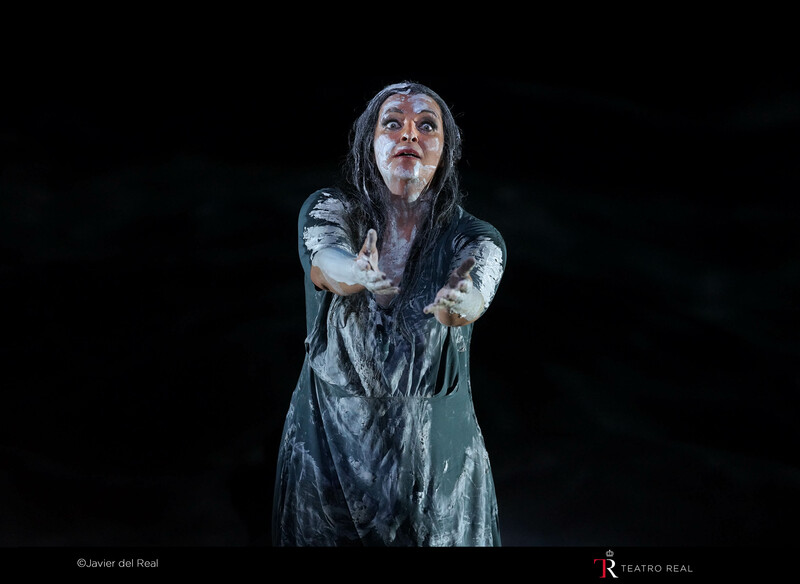 I have often found Ollé’s work to provide impressive visuals but to often be under-directed – his recent Royal Opera Norma is a case in point. That said, I didn’t feel this to be the case tonight. The overture was accompanied by a proscenium height projection of swirling seas thanks to some most impressive video from Franc Aleu. Indeed, the video was most intelligently used throughout the entire evening, enhancing the visuals rather than overpowering them. As the overture led into the opera proper, the outline of a very large and imposing ship that towered over the set came into view, making what was initially a perception into something concrete and real, effectively mirroring Senta’s journey from the Holländer being a literary character she read about to someone she meets. I must admit to being somewhat perplexed by some of the costumes for the ladies, a number of whom were dressed in hijabs yet swigged from bottles of whisky or rum with abandon. Not to mention the Bollywood-inspired dancing that seemed to come out of nowhere during the Act 3 celebrations. Otherwise, we got a literal reading that kept close to the text and, thanks to the impressive video, created a visually remarkable staging that enhanced the musical performances. This wasn’t a revisionist reading like Jonathan Kent’s perceptive Copenhagen staging but it did present the narrative in a cogent and intelligent way. There was a big improvement in personenregie compared to some other Fura shows I have seen and the singers were imaginatively moved around the stage. 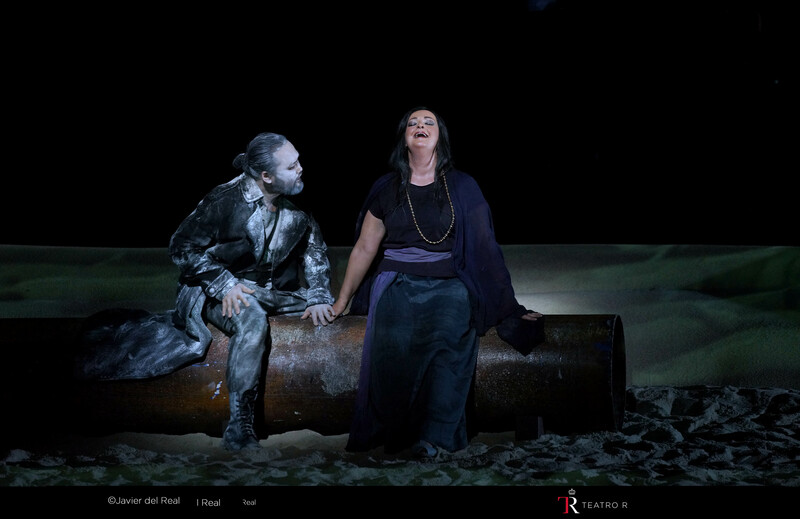 We were given a fully lived-in sense of Senta’s otherness right from the start of Act 2 and her passionate kiss of the Holländer at the end of that act really helped in mapping the journey of the character’s development. Additionally there was an arresting coup de théâtre as the Holländer’s crew suddenly appeared from within the guests of the Act 3 celebrations, their ghostly pallor most effectively brought out by the atmospheric lighting (Urs Schönebaum). However, I found there to be an issue with the set which appeared to have been built of slippery cushions and sand. I lost count of how many times I saw the singers slip on it and the use of the sand certainly affected the set’s acoustic properties. Some of the cast were able to transcend this, others were less successful. 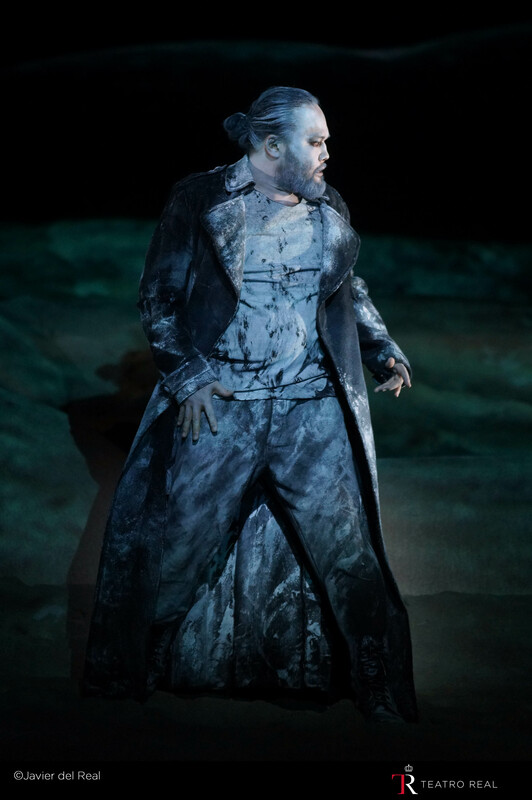 I felt that Samuel Youn’s Holländer took a little while to get into his stride. His opening ‘Frist ist um’ felt subdued (the sound being absorbed by the sand, perhaps) and he looked as if he was physically forcing the volume out, leaning back to push more amplitude out. As the evening progressed, Youn warmed up, singing with more strength and metal in the tone. It’s not an unattractive sound but I do wish that he had made more of the text. He was undoubtedly an implacable Holländer. Ricarda Merbeth’s Senta was sensational. She was unflinching in her vocalism, the sound big and vibrant, effortlessly filling the auditorium. 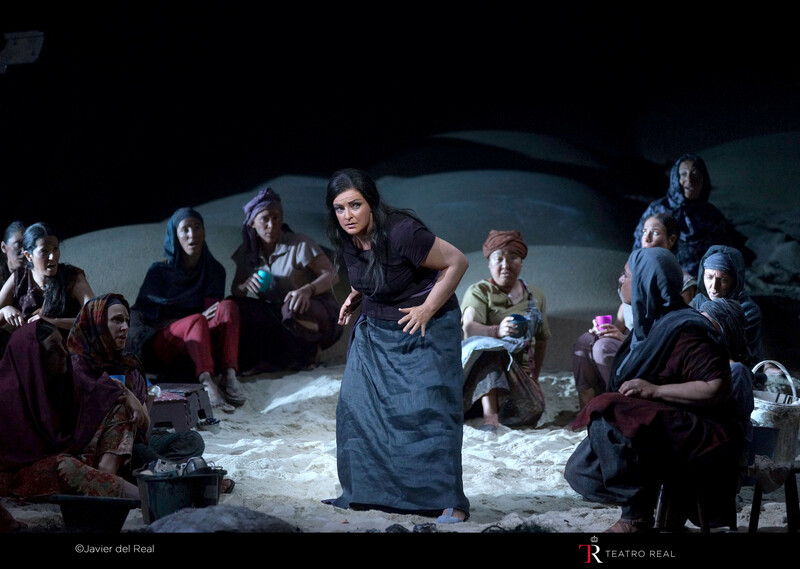 She seemed to revel in the passaggio­­-crossing demands of the ballad but also used her tone to colour Senta’s single-mindedness through the voice. Hers was a Senta that was sung off the text and she mapped the journey from bookish introvert to self-sacrificing obsessive vividly to life through her engaging acting and a voice seemingly without limits. The weight and openness that she has at the top really are remarkable. I last saw Benjamin Bruns as Tito in Vienna this past April and his Erik clearly demonstrated how singing Mozart is essential to a healthy technique. 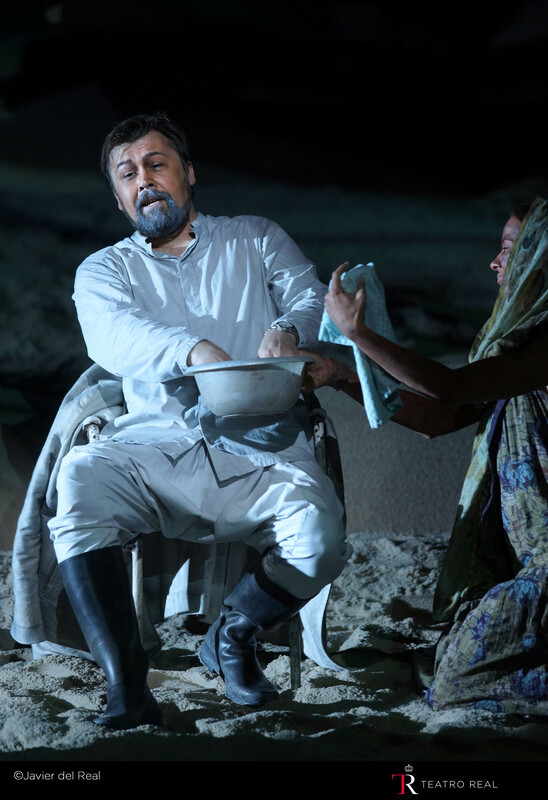 His assumption of the role was most impressive – his tenor is bright and open and also always sung off the text with good cutting power helping him to carry through the theatre. It was most lyrically sung. It appears that this was a role debut for him and it’s a role that suits Bruns well. Dimitry Ivashchenko was a nicely seedy Daland with a full bottom. 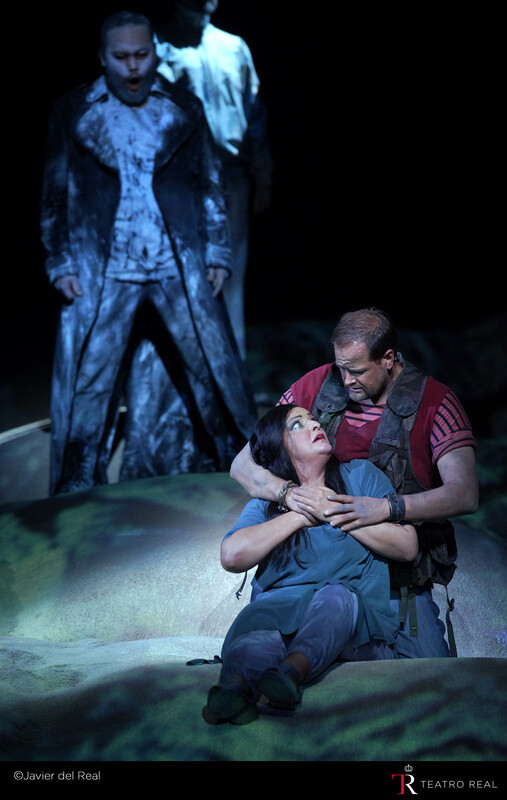 Roger Padullés sang the Steuermann with an attractive, bright tenor and Pilar Vázquez was a deliciously chesty Mary. The gentlemen of the chorus made a tremendously raucous noise but blend in the sopranos could have been better with a few individual vibratos sticking out. Pablo Heras-Casado secured some excellent playing from the house band. It started so well with an overture that had an irresistible forward momentum, with surging strings and uninhibited brass. I found his reading on the whole to be well paced, nicely swift and alive to the drama inherent in the score. That said, there were a few saggy passages, for example in the Act 1 Daland/Holländer duet where the tension dropped a little too much. The quality of the orchestral playing really was exceptional. Tonight was certainly a visually stunning and musically thrilling evening. For once, the union of visuals, personenregie and musical performance combined to create just that gesamtkunstwerk expected. As the waves covered the stage in the finale and drew Senta within them, the impact of this total performance was undeniable. A splendid evening.